About ten days ago I went to the opening of Yayoi Kusama’s newest exhibition in New York City. 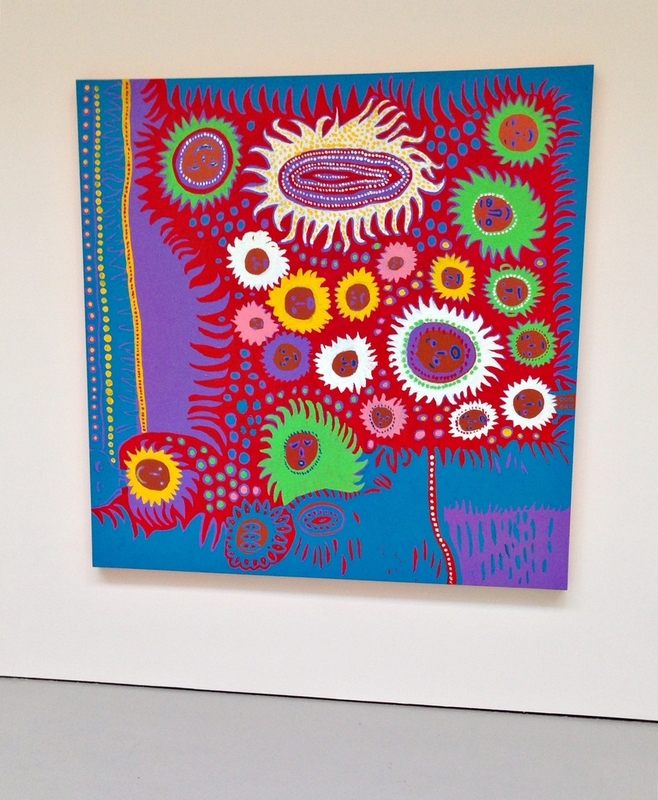 The show is at David Zwirner; it’s the first time that Kusama shows with him – and it is an immersive pop-dot-kaleidoscopic experience that takes up all of the three spaces of this massive gallery on West 19th Street. 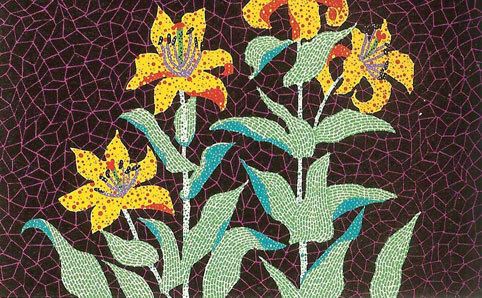 Kusama created more than 25 paintings in a square format, most of which are over 6 feet tall – all of them brightly colored and incredibly beautiful, like most of her pieces are. 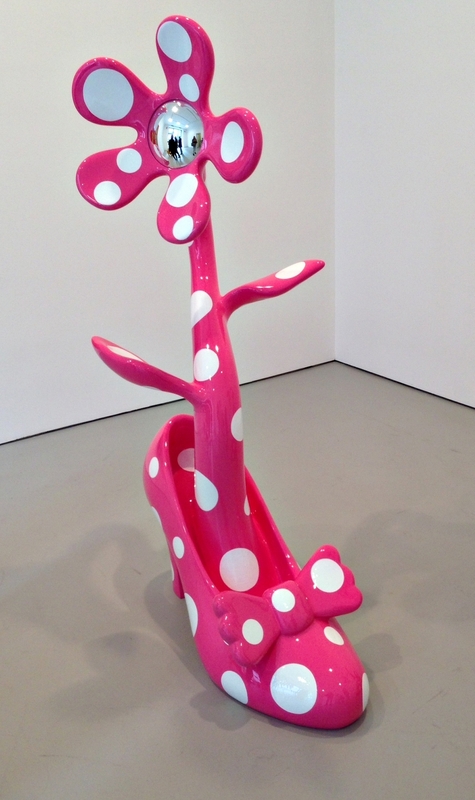 I also saw several fiberglass sculptures of high-heel shoes and potted sunflowers, happy representations of day-to-day objects covered in Kusama’s trademark polka dots. What mesmerized me the most where the two newest mirrored infinity rooms: one is called The Souls of Millions of Light Years Away which invites people to stand on a platform that is suspended over a water pond that reflects hundreds of multicolored LED lights that are hanging at varying heights from the ceiling. The second mirrored room titled Love Is Calling, is a psychedelic experience complete with multicolor inflatable tentacles covered in black polka dots. In the contiguous room, there is a video projection playing non-stop, where Kusama herself is reciting a poem called Manhattan Suicide Addict. This show has a uniquely compelling visual quality and the engagement with the audience is undeniable. Most of the paintings are in the high-six figures or even the low seven figures. Definitely not accessible to most. 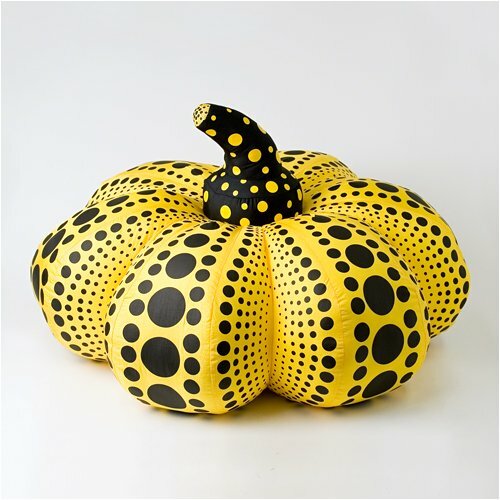 But Kusama has had a prolific career and produced limited edition prints, multiples, objects and many other interesting things that range from a few hundred to a few thousand. Here is my selection and where to find them. 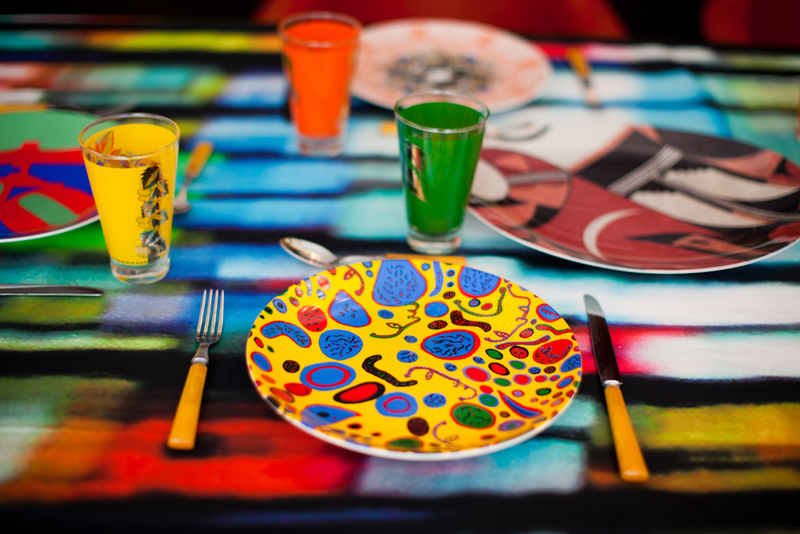 The Whitney Museum released a collection of Kusama plates last year in conjunction with her retrospective. I bought a couple and mix them with other art plates, more of which can be seen here. The pumpkin sculpture is one of my favorites. I put two in my kids' room by the windowsill. They are an excellent complement to their space and conversation pieces by themselves. 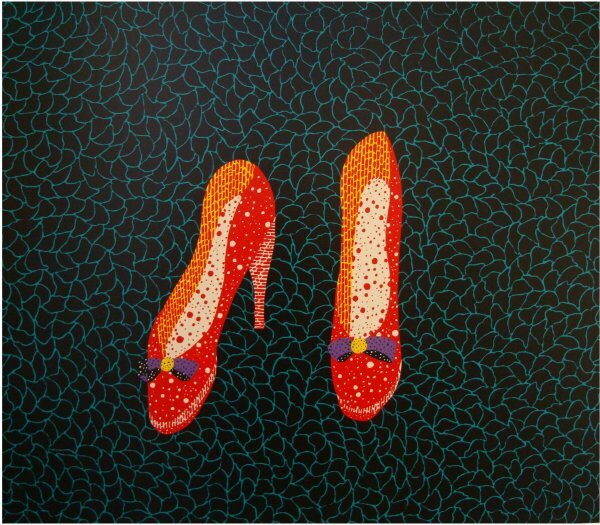 Kusama's signed limited edition prints range from $3,500 depending on the design and the size of the edition to $55,000 or so. Here are a few of my favorites, which can be found here.